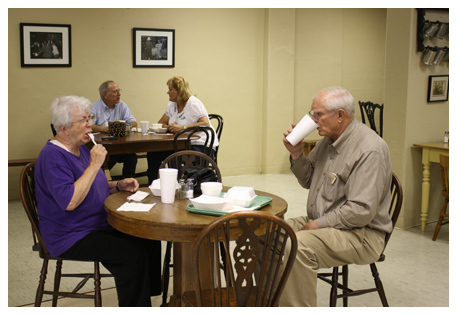 Made Fresh Daily, all soups served with crusty cornbread. 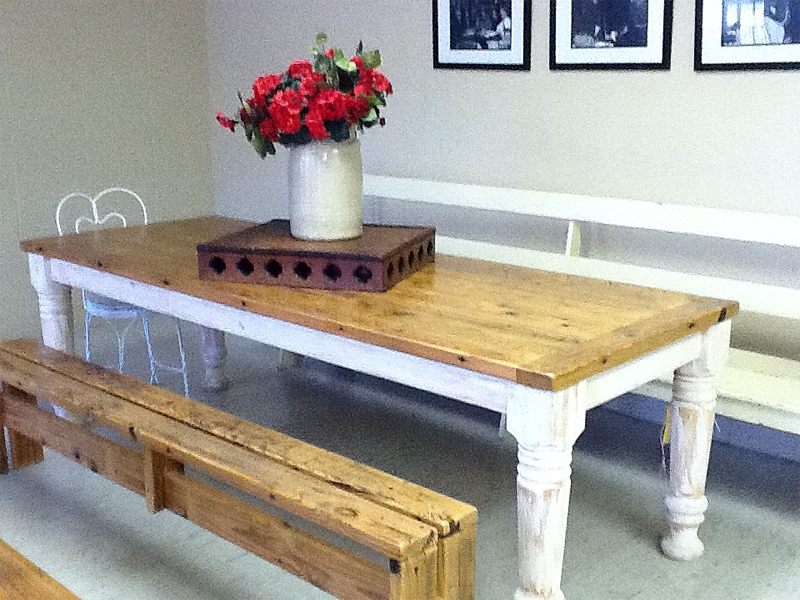 Hand-Crafted tables and benches made of heart pine wood from Lexington Loose Leaf Tobacco Warehouse can be yours. 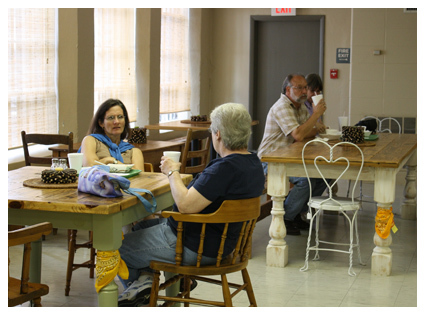 Ove the last seventy years, millions of pounds of tobacco were sold over these floors. The normal wear and tear created and unique product that cannot be duplicated. 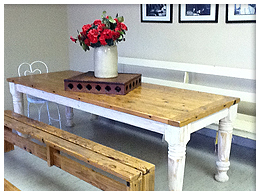 Custom sizes for tables and benches are available upon request. Prices vary depending on size and style.